I think this press release will make your day. 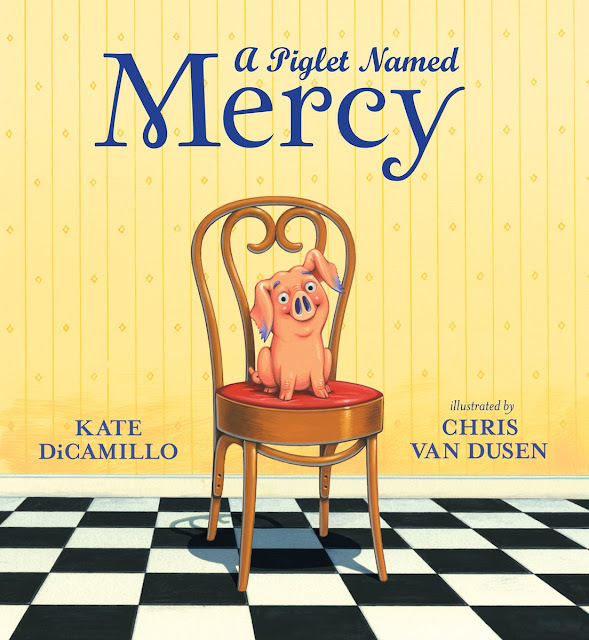 February 13, 2014 (New York, NY)—Random House Children’s Books (RandomHouseKids.com) has acquired three new books and an e-original by R. J. Palacio, author of the blockbuster bestseller Wonder (#thewonderofwonder), it was announced today by Barbara Marcus, President and Publisher. 365 DAYS OF WONDER: Mr. Browne’s Book of Precepts (Alfred A. Knopf Books for Young Readers), a companion book to Wonder, will be released in hardcover on August 26, 2014, with a first printing of 350,000 copies, andTHE JULIAN CHAPTER: A Wonder Story e-original will release prior to that on May 13, 2014. Two additional, untitled novels by Palacio were acquired in the deal and will be released on dates to be announced. The books were acquired by and will be edited by Erin Clarke, Executive Editor at Knopf. Random House Children’s Publishers UK will simultaneously publish 365 DAYS OF WONDER and THE JULIAN CHAPTER. The story of a fifth grader born with a facial deformity who attends mainstream school for the first time, Wonder was called “rich and memorable” (The New York Times Book Review) and a “debut novel so remarkable, and so lovely” (The Wall Street Journal). Wonder has sold over 1 million copies since its publication on February 14, 2012. The bestselling middle-grade novel has remained at the top of bestseller lists, spending 97 weeks on the New York Times bestseller list, with 44 weeks in the #1 spot. 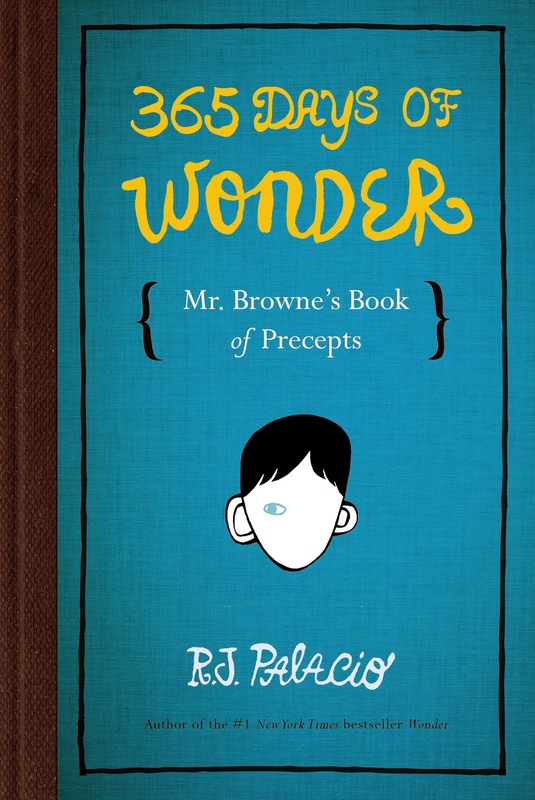 Wonder introduced readers to memorable English teacher Mr. Browne and his love of precepts—that is, principles to live by. 365 DAYS OF WONDER: Mr. Browne’s Book of Precepts features precepts for each day of the year—daily quotes and inspiration, with words of wisdom from such notable figures as Anne Frank, Confucius, and Nelson Mandela, along with over 100 Wonder readers who sent Palacio their own precepts. Readers from all over the world submitted more than 1,200 entries in two weeks for inclusion in the book. Also included with the precepts are letters and emails from characters who appeared in Wonder, including Auggie, Summer, Charlotte, Amos, and Julian. The four projects were acquired from Alyssa Eisner Henkin of Trident Media for North American rights, to be published by Alfred A. Knopf Books for Young Readers. Listening Library will publish audio editions of the two additional novels to be announced. Random House Children’s Books will release a boxed set edition of Wonder and 365 Days of Wonder, also available on August 26th. R. J. Palacio wrote WONDER, her first novel, while working as Children’s Book Director at Workman Publishing. She is now Editor-at-Large at Workman Publishing and a member of the illustrious roster of authors represented by the Random House Speakers Bureau (RHSpeakers.com). She lives in New York City with her husband, two sons, and two dogs. Random House Children’s Books is the world’s largest English-language children’s trade book publisher. Creating books for toddlers through young adult readers, in all formats from board books to activity books to picture books, novels, ebooks, and apps, the imprints of Random House Children’s Books bring together award-winning authors and illustrators, world-famous franchise characters, and multimillion-copy series. Random House is the longtime home of the beloved and bestselling Dr. Seuss books, which continue to make learning to read fun for millions of children everywhere. The company’s website (RandomHouseKids.com) offers an array of activities, games, and educational resources for children, teens, parents, and educators. Random House Children’s Books is a division of Random House LLC, a Penguin Random House Company. HC: 978-0-553-49904-9 / $14.99 / $17.99 Can. GLB: 978-0-553-49905-6 / $17.99 / $21.00 Can. OMG!!!! This is so exciting! I will totally read this book.